We are so fortunate to know Jeanne from Destination Yarn. 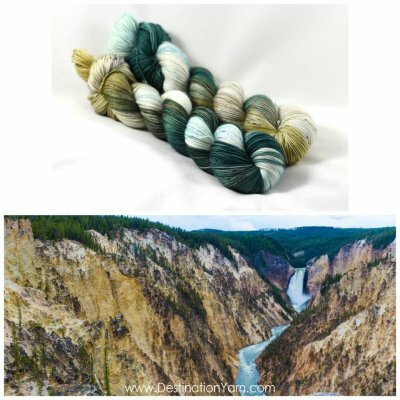 She has created two exclusive colorways for us inspired by the colors of Yellowstone. 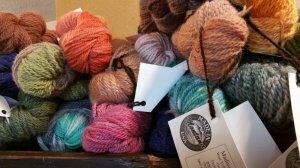 We feature yarn and fiber from local independent dyers including Raven Ridge Fiber Arts, Gershubie from Ennis, Polka Dot Sheep from Whitefish and again this year Alexandra's Crafts! We also sell some Berocco, and Universal Yarns and beautiful yarn dyed here in Montana by Mountain Colors. 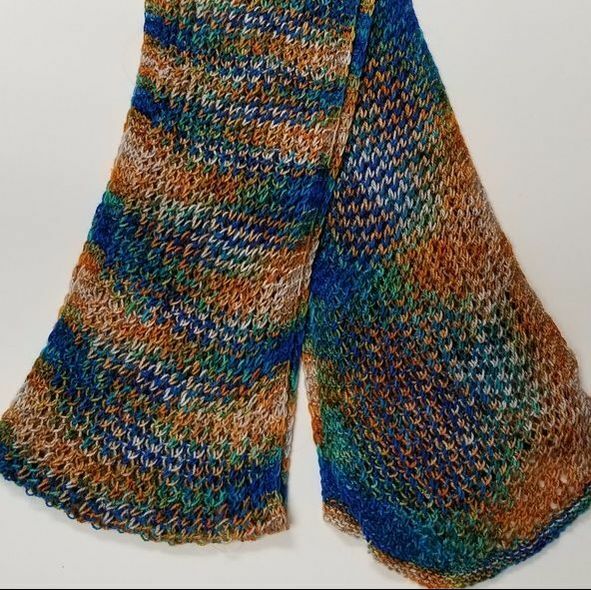 Looking for something unusual for your stash? Check out our Bison blends from the Buffalo Wool Company or our locally grown alpaca and wool from the Madison River Alpaca farm right here in West Yellowstone. 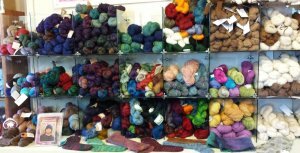 We also stock a selection of quality Knitter's Pride knitting needles, including the new Karbonz and a line of crochet hooks. 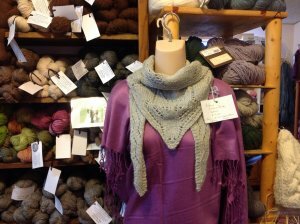 We are proud to participate in the Ravelry in store pattern sales program, and we also have some paper patterns for purchase, as well as a selection of patterns available free with yarn purchase. Need a new project for the road? 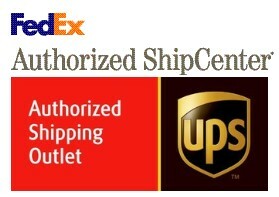 We can set you up with socks, scarves, hats...nice small traveling projects. 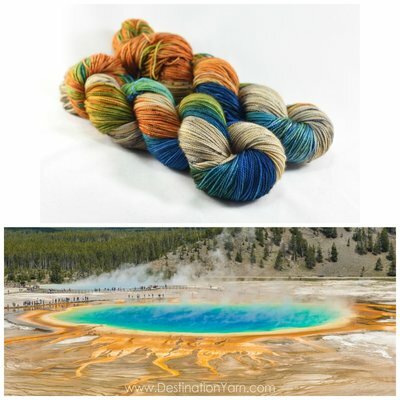 Click on the image to download the pattern for the Grand Prismatic Scarf!